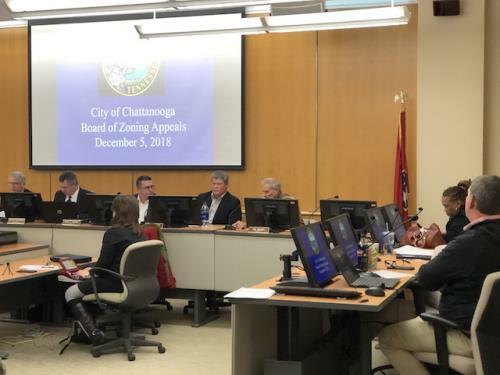 The city Zoning Appeals Board on Wednesday morning voted 5-3 to rehear the St. Elmo Publix grocery store case. 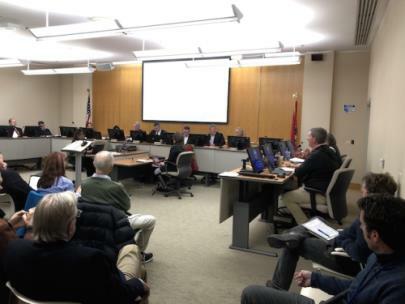 The panel last month had voted 5-4 to deny the application for variances for the project. Board member Jeff Brown on Wednesday made a motion to rescind the prior resolution. He said new information had come forward since the last meeting. Mr. Brown said Publix officials now say there was really no reason to ask for one of three variances - one dealing with the number of window openings. Publix now says the original design had enough window openings. Voting to rehear were Mr. Brown, Ray Adkins, Jackie Thomas, Alan Richelson, and Chairman Scott McColpin. The new hearing will be Jan. 2. Mr. Richelson said he believes more time needs to be given for presentations by both sides. A St. Elmo group said the zoning category obtained by Publix calls for buildings to be up close to the street. Board member Joe Manuel was among those opposing the motion, saying the city attorney sent different information than Publix is now saying about the window openings. The property is owned by Jeff and Cindy Messinger, former Mt. Vernon operators.